Having a bookworm is definitely a blessing. I rarely have problems keeping my child busy or listening to her I am bored! complaints. When she is immersed in a good book, she can spend hours in her room devouring it. 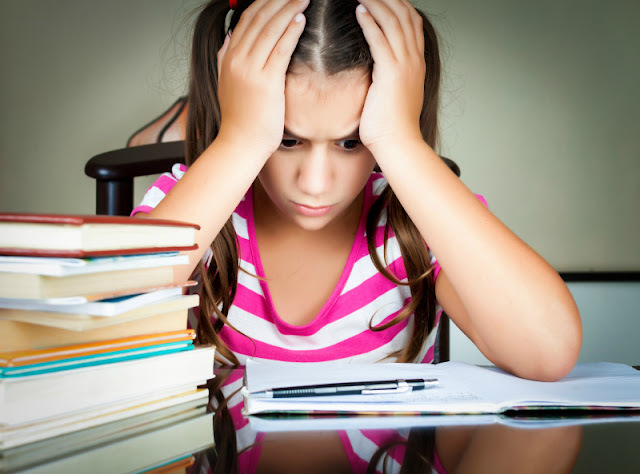 But with this blessing comes parental responsibility of choosing appropriate reading materials. What makes it more difficult is that neither myself nor my husband were exposed to children literature in English, since he was born and raised in Germany, and I grew up in the former Soviet Union. Of course, we could just let her loose in the library, but we had one bad experience when our then 6 year old picked a book of Short and Shivery Stories by Robert D. San Souci and had nightmares and trouble sleeping for two months. In a way, this fiasco was still useful, since we had a chance to talk with our Smarty about what to do if a book makes her uncomfortable and how to recognize elements that she is not ready for. I admit that I don’t read dozens of book blogs, but over time I developed great respects for two bloggers that produce amazing book lists. 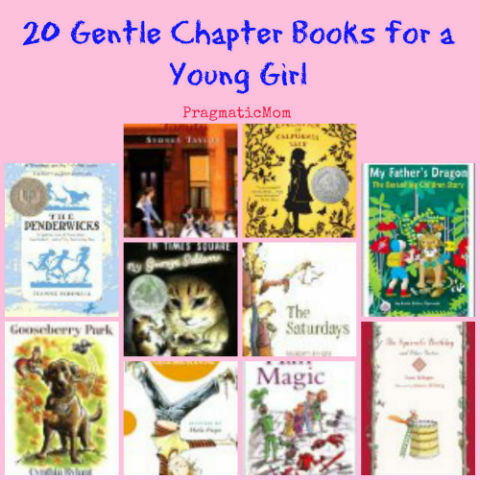 My hostess Mia was even kind enough to write a post specifically for my daughter – 20 Gentle Chapter Books for a Young Girl. My other source of good books is Erica from What Do We Do All Day, you can check out her master list of booklists and pick one that is suitable for your family. You simply cannot go wrong with her booklists! Scholastic Book Wizard is a great resource in finding books based on grade or reading level. I also like trying my luck with “similar books” feature in this book finder. My daughter’s interests changed over time from non-fiction to fiction and fantasy, but many children follow the opposite path. While following her interests of mythology, history, school and humor books, I make sure she is still exposed to poetry and science books. Even though our 7 year old is a very fluent reader, I am still making my best effort to read to her every night. It brings us close, it gives us an opportunity to explore fantastic books together, and sometimes it helps daughter to get over a slow start that is quite common for classic books. I also love an opportunity to make sure she masters new vocabulary from more advanced books (sometimes she understands new words perfectly well from context, but doesn’t take time to sound them out correctly). We are slowly going through an amazing list of 100 Best Children Chapter Books from Children’s Books Guide. 5. Invest in an eReader and explore free books. I don’t advocate learning to read with gadgets. I am still old-fashioned that way and prefer good old paper books. But we are a Kindle family, and for her 6th birthday our daughter begged for her own Kindle. She inherited my old classic Kindle, and I upgraded to Paperwhite. We still buy paper books, but our eLibrary is growing rapidly, because my husband cannot pass up many Kindle Deals of the Day. There is also a multitude of sites for free Kindle books. We mostly use our own library’s Overdrive lending service, Amazon Prime lending library and Project Gutenberg, but you are welcome to browse through 25 places to Get Free Kindle Books.